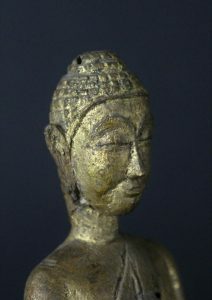 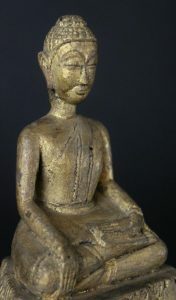 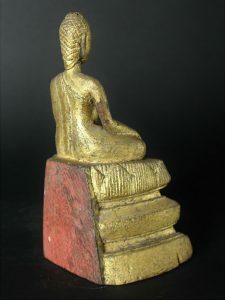 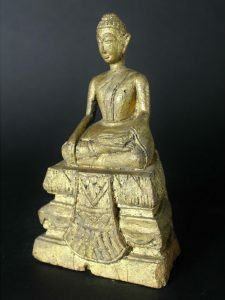 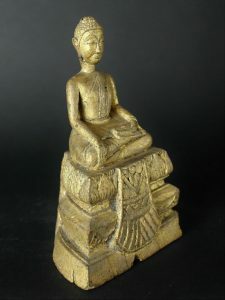 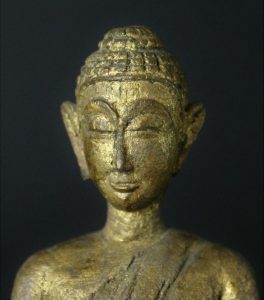 Lovely wooden laquered and gilded 19th century Thai Buddha in Ayuthaya style. 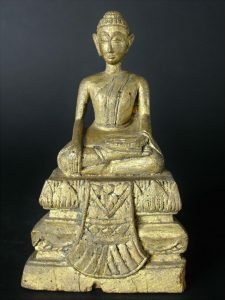 In very good condition only the Ushnisha is missing. 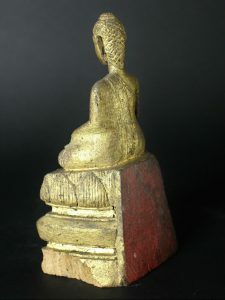 Bhumisparsha mudra Half lotus.